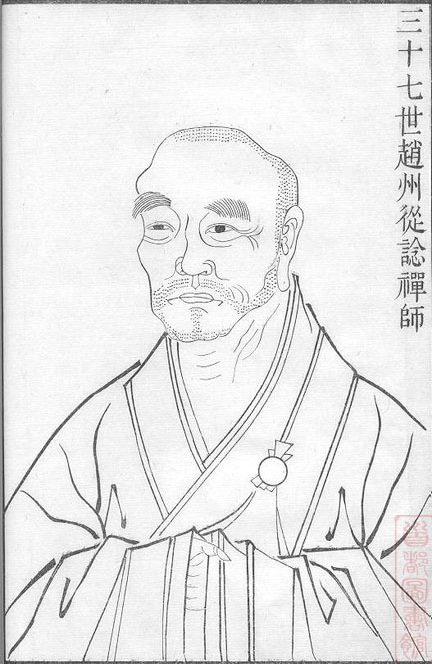 Now that we have covered the central patriarchs and historical development of Chan Buddhism in Tang and Song China, including the canonization of koan (Chinese: gongan) literature by the House of Linji, we can turn to master Zhaozhou (pronounced “Zshaow-Zshow”, Japanese: Joshu, 778 – 897), my favorite Zen master and the most prominent figure in the koan collections. While Linji’s sermons are the central source of understanding the puzzling practice of interviews between masters and students, Linji does not appear often in the central koan cases that are the focus of study. 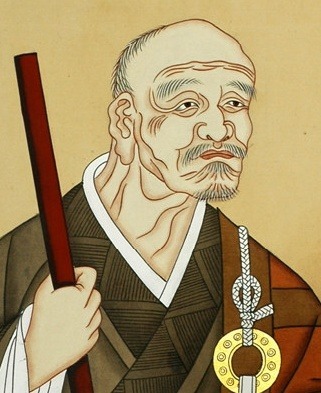 Rather it is Zhaozhou, the very-Daoist Zen stand-up comedian, who gave the Zen tradition many of its favorite cases to study for centuries, far more than any other master. This is why we study Zhaozhou as the last of the Tang masters, even though he was a generation before Linji. Then we will look at cases of “Dharma combat” from the two central koan collections, the Blue Cliff Record (1125) and Gateless Gate (1228). Zhaozhou’s place in the lineage is puzzling because he lives before Linji but is not in the line between Mazu and Linji. 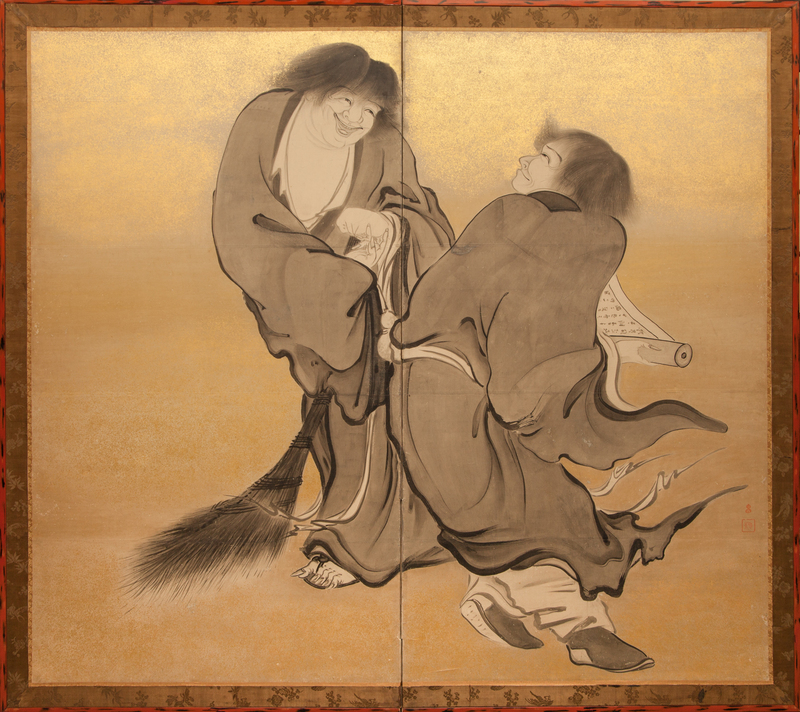 Rather, Mazu had two prominent students who became famous masters, Baizhang and Nanquan (pronounced “Nawn-Chuwan”, Japanese: Nansen, 709 – 788 CE). 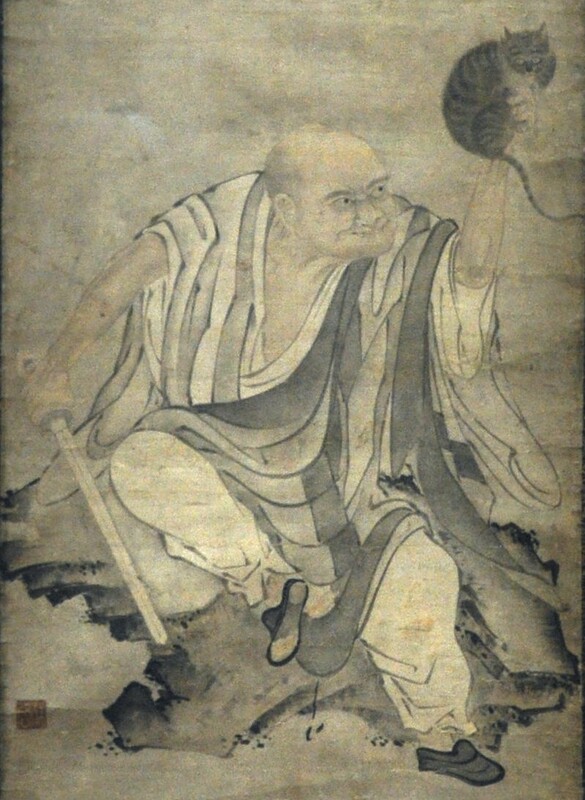 The koan literature was written to show two things, first that the silent transmission Linji spoke about passed from the Buddha, Bodhidharma and India to the Song China House of Linji, but second that the teachings flourished across the land, leading to masters sprouting up in multiple places. Zhaozhou is the greatest master of the final tenth generation recorded in the Transmission of the Lamp koan collection (1004) just before the House of Linji came to dominate the intellectual scene of Song China. While Zhaozhou was not of the House of Linji, his brilliance was used by Linji’s followers to cement the position of the southern Chan of Huineng and Mazu, which Zhaozhou and Linji share in common. 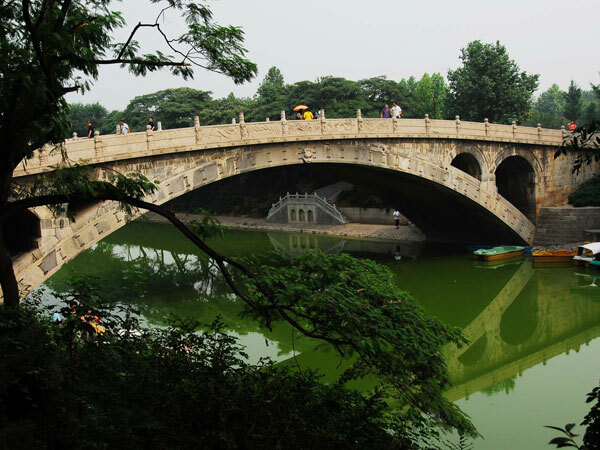 Zhaozhou is a “holy fool”, a trickster found throughout human cultures, and it is debated how much he was inspired by Daoist sages because Zhaozhou, the site of a stone bridge from which the Chan master got his name, was a popular site for Daoist hermits who sometimes camped out under the bridge in the shade. Zhaozhou quotes Zhuangzi the Daoist patriarch more than once, telling one student, “Ships cannot sail where the water is too shallow,” implying that a shallow mind doesn’t have space for grander understandings. 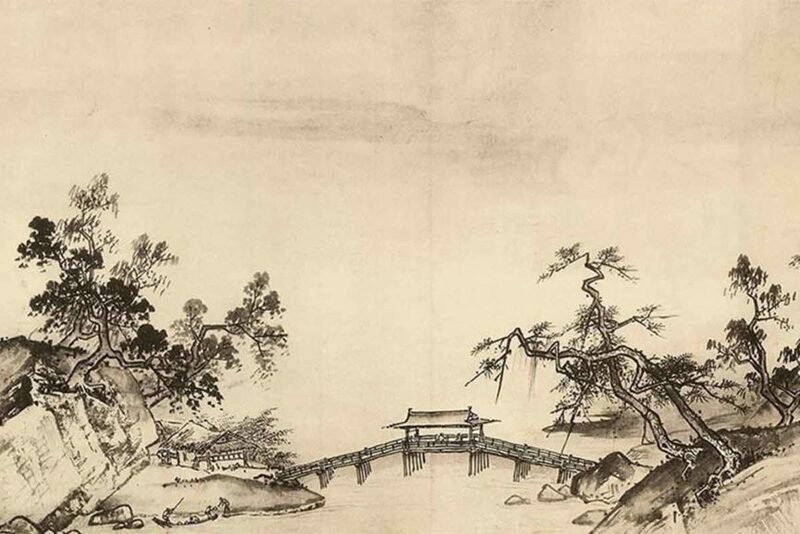 Both Zhaozhou and Linji lived and taught where Daoism was particularly popular, along with the legend of the Daoist sage who disregards human conventions and expectations to live beyond all borders and boundaries. Many of Zhaozhou’s koan cases sound like jokes, and sometimes Zhaozhou’s final word is simply laughter. His record is by far the most entertaining to read, though Linji’s comes close. 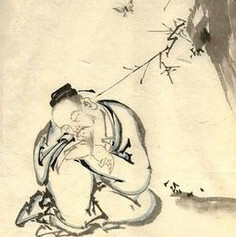 According to legend, when Bodhidharma’s grave was opened only a single straw sandal was found, a lower dead form empty of higher living meaning, a dead object like a corpse without life, the living “silent teaching outside the transmission” according to Linji. 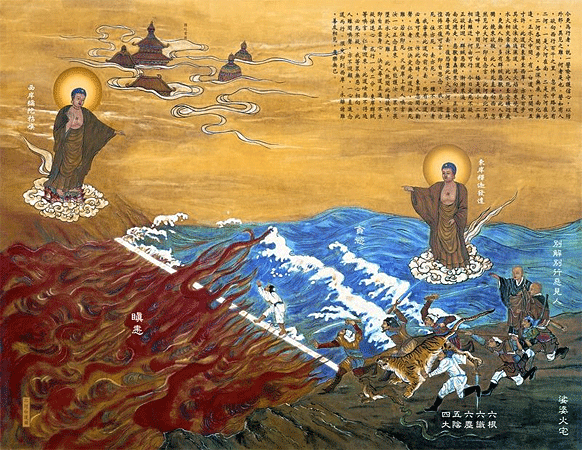 Nanquan killed a conscious being to preserve Chan Mahayana Buddhism, breaking the literal laws and vows to preserve the unity of the sangha, and in response Zhaozhou pretends to be Bodhidharma, carrying the silent teaching (sandals are often quite quiet) from the Buddha, represented by Zhaozhou’s master Nanquan, to China. Nanquan says that Zhaozhou truly said something while saying nothing, which Zhuangzi said a true sage can do, and thus Zhaozhou could have saved the cat. When Zhaozhou walks away from Nanquan he is splitting the sangha, like Bodhidharma did when he left India, the land of the Buddha, and brought the silent transmission of Chan to China, like the cat unwittingly did when it wandered into Nanquan’s monastery. Nanquan put the unity of the community over the unity of the cat, so Zhaozhou put the silent transmission of Bodhidharma over the unity of the community, splitting from Nanquan as Bodhidharma did from India. 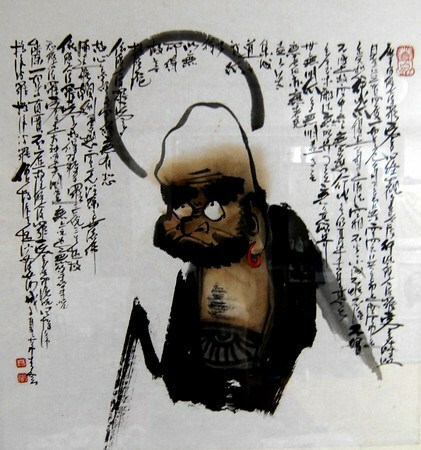 Perhaps Zhaozhou is suggesting that Bodhidharma is much like a cat, as well as Zen itself, an inquisitive, mischievous being without a particular purpose that wanders inexplicably eastward causing problems. 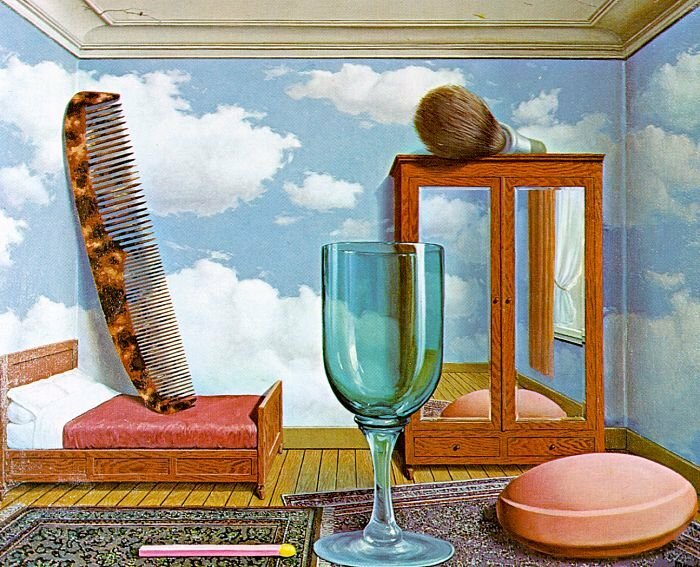 Did Nanquan kill the cat, or is the story fictional and simply symbolic? Did he break the rule of nonviolence, placing the unity of the monastery over the unity of the cat, or is the story merely instructional, an imaginary example someone made up to teach Chan that became part of the record and legend? There are a two other similar violent incidents in the Chan records that may or may not have happened which monks and masters puzzled over. 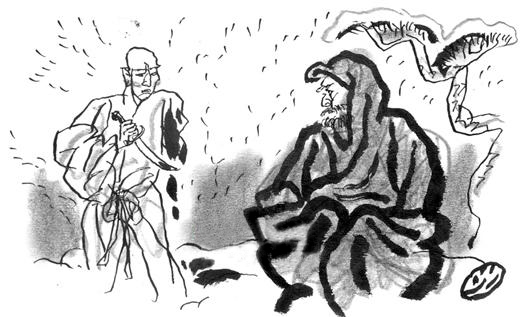 According to one account, the second Chinese Chan patriarch Huike cut off his left arm to show Bodhidharma he was serious, unlike Zhaozhou who doesn’t even take this incident seriously. When a monk asked him, “The second patriarch cut off his arm. What sort of act is that?” Zhaozhou said, “He was throwing his whole self into it.” The third incident is Juzhi cutting off a monk’s finger, another funny and terrible story we will examine in the Gateless Gate. 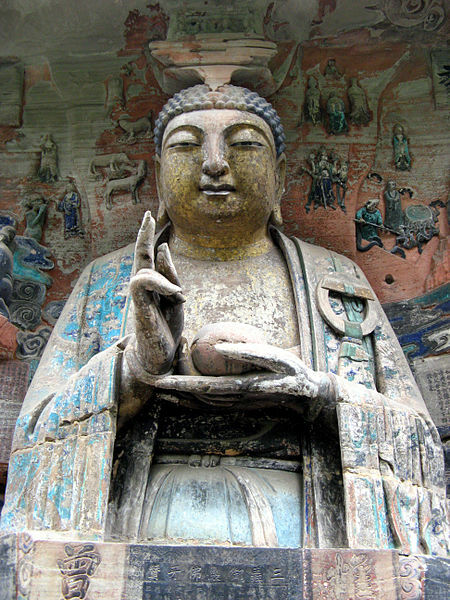 Linji did tell monks to cut off the heads of the buddhas and patriarchs. 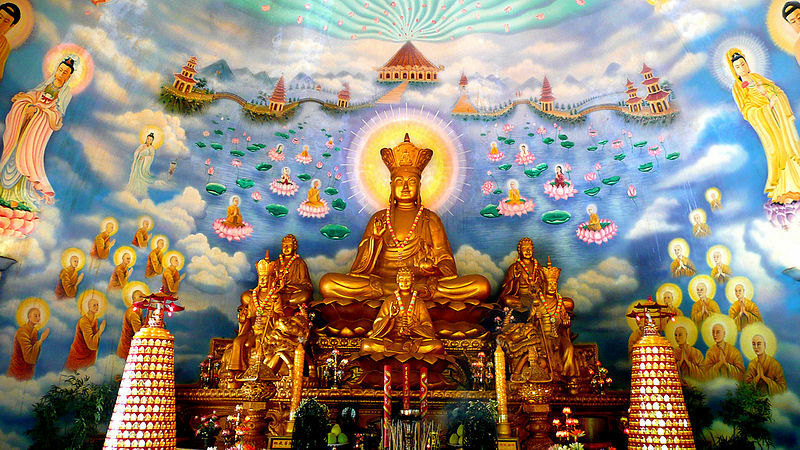 Mahayana Buddhists teach that all of our reality, including all sentient beings, have a common conscious buddha-nature (Indian Pali: buddha dhatu), the common mind which Linji calls the true sage of no rank. Bodhidharma said that the highest thing is the self, but the widest thing is the mind and its wisdom, the buddha-nature we share in common. A monk once asked Zhaozhou, “Does a dog have buddha-nature or not?” possibly unclear on the basic Mahayana concept of “all sentient beings”. Zhaozhou replied, “Wu” (Japanese: Mu), which does not mean “no” that the dog does not, but “meaningless,” “empty,” “not that” or “Nothing”. 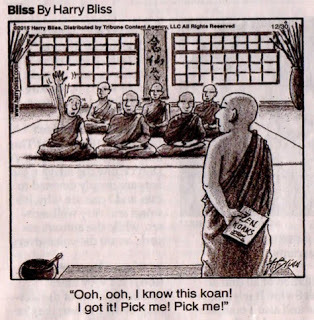 This is the first koan of the Gateless Gate, the most popular Zen koan collection. 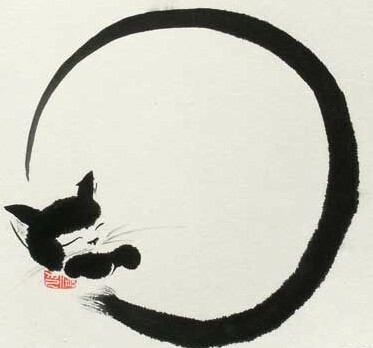 Like the cat koan, Zhaozhou responds to the negative judgement of animals by casting the situation aside, “throwing it down a hole” as Linji said, but managing to make a particular point as well. My friend and colleague Justin Lipscomb studies nothing, as he likes to say, as well as its use in Eastern and Western philosophy, and he assures me that this word of Zhaozhou’s is one of the great examples of the place of nothing and nothingness found in human thought. Zhaozhou seems to say that whether or not a dog has buddha nature is “nothing”, unimportant to someone with an enlightened understanding, but he could also simultaneously be saying that the nothingness and open emptiness of what we, the dog, buddha-nature and reality all are is itself the “nothing”, the nothing-in-particular, that unites us all, the dog included. The monk is trying to decide if a dog is like us, and Zhaozhou uses a single word to circumvent his judgement, excluding the judgement and including us and the dog together with buddha-nature. There is a third case involving Zhaozhou and animals that finds its way into the Gateless Gate, case eleven of the forty eight. 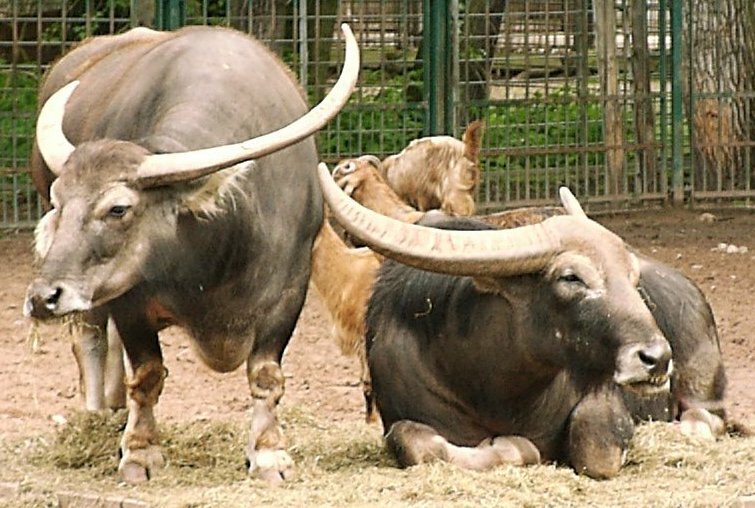 Zhaozhou found the sages Kanzan and Jittoju while wandering on Mount Tiantai and said, “For a long time I have heard about Kanzan and Jittoju, but having come here I just see two water buffalo.” The sages put their fingers on their heads like horns. The master waved his arms at them and said, “Shoo! Shoo!” The sages gnashed their teeth and glared at each other, happy to become water buffalos when accused but reluctant to leave when shooed. When asked about this later, Zhaozhou laughed heartily and said nothing. When Linji compared Pahua to a donkey Pahua brayed at him, and Linji called a monk who mooed at him, “This beast!” If you asked these masters an educated, scholarly question you would likely be ridiculed, but if you acted like an untamed animal you just might meet their approval. 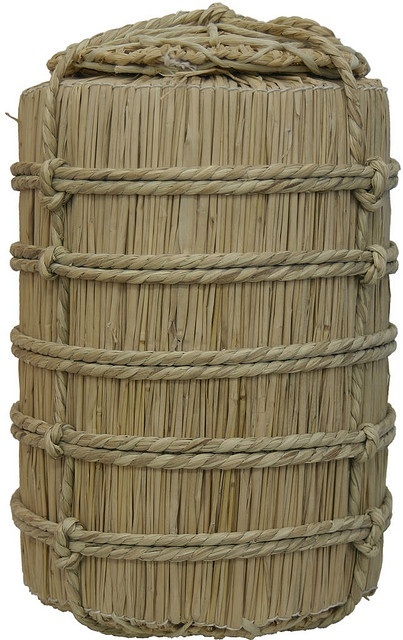 This gong-an is very simple and short, but like the rest it contains meanings that sprout up when you look them over carefully and consider that for thousands of years these particular cases were preserved as teaching devices. We typically pick humans over water buffalos, so calling two sages water buffalos is insulting, even if it is innocent and playful, like the sages response to effortlessly take up the role of water buffalo, a muddy and supposedly dimwitted beast. If we are all somewhat water buffalo, why not embrace it? It is very easy to miss that after Zhaozhou shoos them, they refuse, which is moving from obeying Zhaozhou to disobeying Zhaozhou. 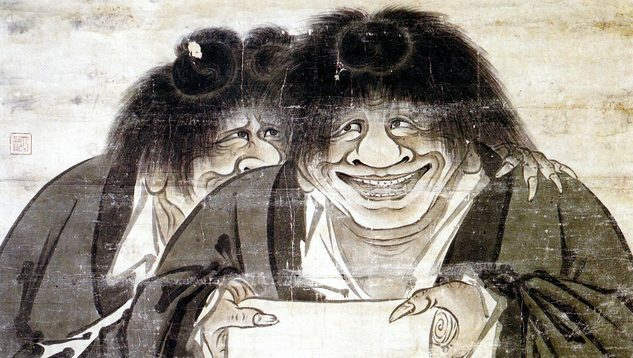 However, once this thought occurs, it then opens up to the next thought that a disobedient water buffalo is a ‘good’ water buffalo in that it is more true to life, so when Kanzan and Jittoju disobey, are they obeying Zhaozhou or not? Zhaozhou simply laughs. It is quite human to be inhumane. Is a broken, unusable vase still a vase? If not, why call it such? How can our minds share these negative forms, what Hegel could call determinate negation, so easily and fluidly? We do not often enjoy being treated as beasts with little awareness and unimportant interests, nor being treated as mere things with no awareness or interests to consider. A monk asked, “The many things return to the One. Where does the One return to?” Zhaozhou said, When I was in the state of Chou, I made a hemp shirt. It weighed seven pounds.” Even the Great Dao, the source of all things, is humble enough to take the position of seven pound shirt whenever the need arises. 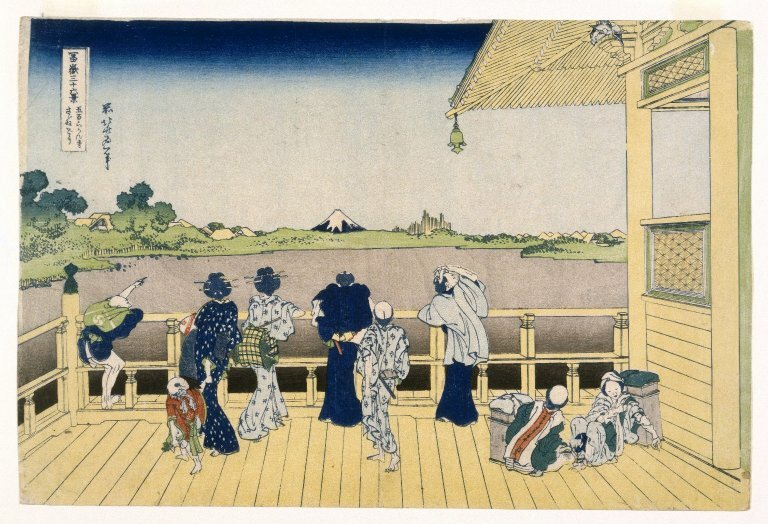 In the second case of the Blue Cliff Record, Joshu says to the assembly, “The ultimate way is without difficulty. Just avoid picking and choosing. As soon as there are words spoken, ‘This is picking and choosing’ and ‘This is clarity’. This old monk does not abide in clarity. Do you still preserve anything or not?” A monk asked, “Since you do not abide in clarity, what do you preserve?” Joshu replied, “I don’t know either.” The monk asked, “Since you don’t know, why do you say that you do not abide in clarity?” Joshu said, “It is enough to ask about the matter. 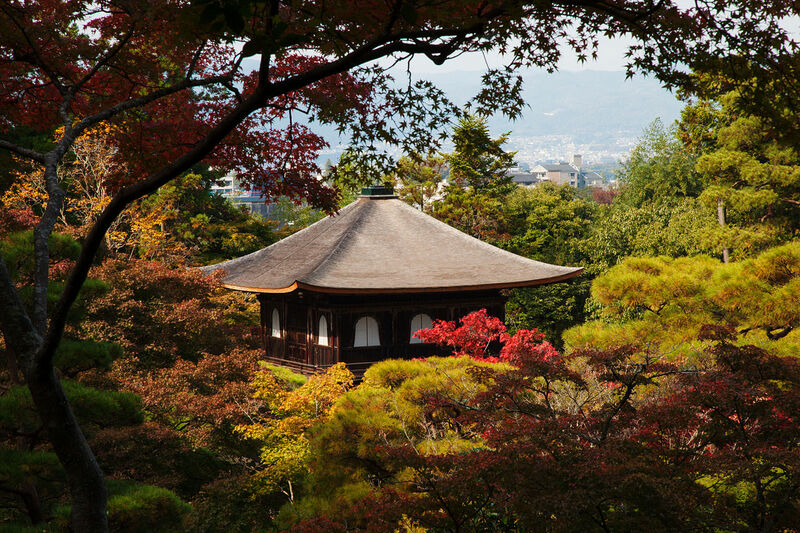 Bow and withdraw.” In the first case of the Blue Cliff Record, Bodhidharma brings the silent transmission to China and tells the emperor he does not know anything that is holy nor who he himself is. 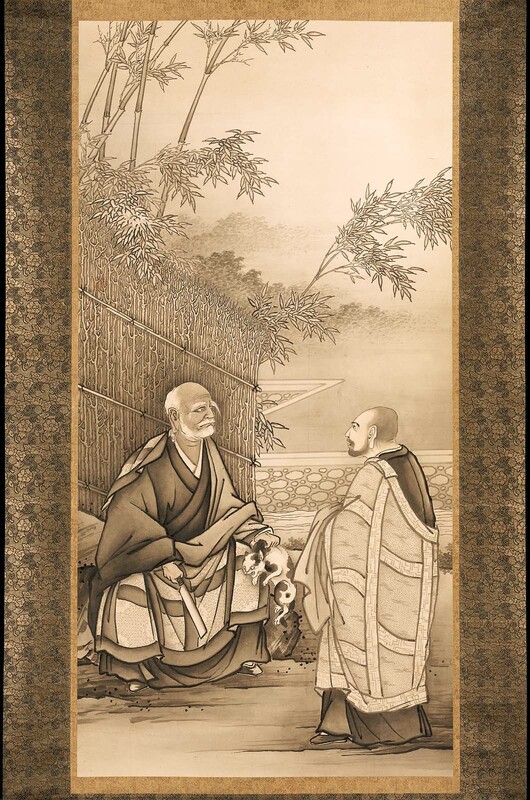 In the second case, Zhaozhou says he does not know what Bodhidharma brought that he himself preserves and when questioned further acts as if he does not need to know whether or not he knows anything at all. When Zhaozhou says he does not know what he preserves he is avoiding picking and choosing what he preserves, but the monk misunderstands him and accuses him of choosing to live in obscurity and confusion, confused by his rhetoric. Zhaozhou does not correct this misperception to distinguish himself from confusion, but rather complements and extends it by acting like a confused and embarrassed jerk, making the error look like his own rather than the monk’s, a fancy way of not choosing himself over the monk even as it seems he has stupidly chosen his own pride over the monk’s further education. 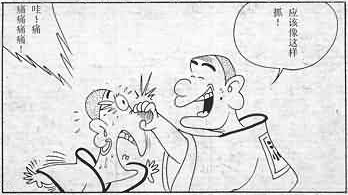 It seems as if Zhaozhou lost, fretting and sweating like Shenxiu did before Huineng out-versed him, but if this stands in the record it is likely that Zhaozhou is feigning being foolish, as Linji says a master does to test monks. 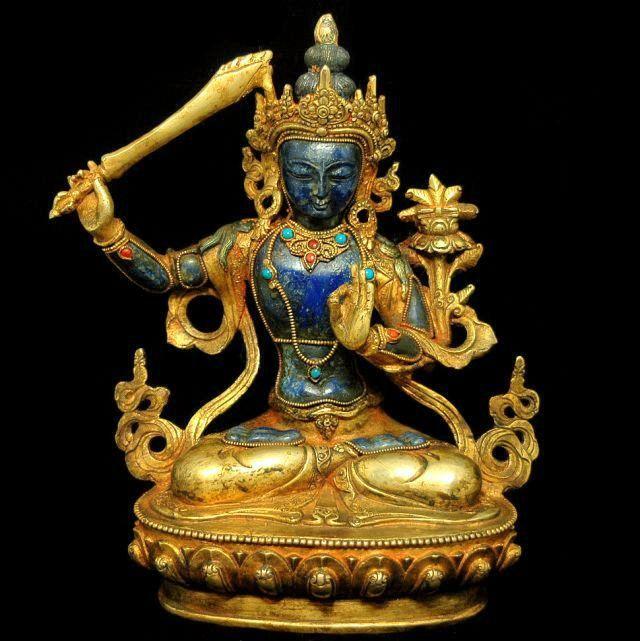 A monk asked, “What about it when the three-pronged sword has not yet fallen?” referring to the sword of Manjushri, the bodhisattva of wisdom. Zhaozhou said, “Densely packed together.” The monk asked, “What about after it has fallen?” The master said, “Wide open spaces.” Zhaozhou taught that we are our situation, including the good and the bad, the true and false, and the known and unknown. 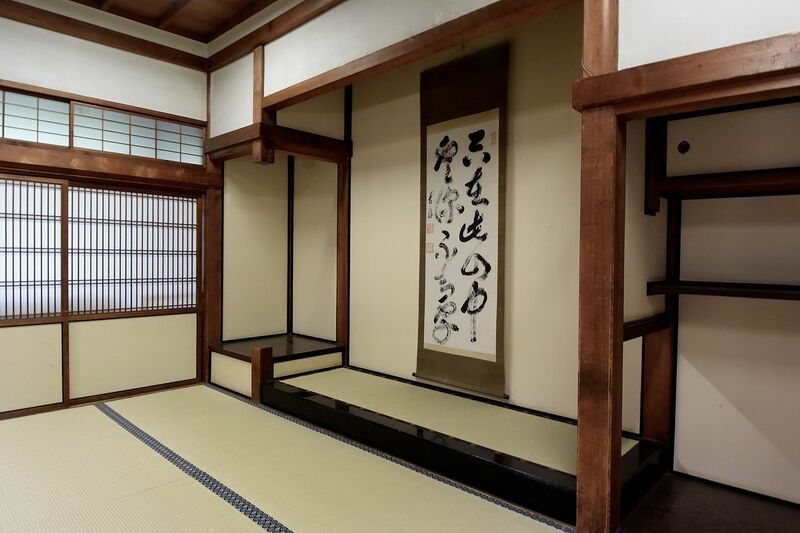 While we often fear and reject the bad, false and unknown, acceptance of these as a part of ourselves is to understand what Linji called the furniture of our own house. As the Buddha taught, it is not the feelings themselves or awareness of them that is the problem, but obsession over what we cannot change that is the problem. Just as the Buddha taught that Jains try to rid themselves of selves, and thus are one-sided in spite of their skeptical principles, just as Nagarjuna taught that enlightenment is not the absence of thoughts and feelings but freedom in our involvements with them, Zhaozhou taught that freedom and happiness are not the absence of desire and passion, which works well with his comedic character. We do not escape desires or concepts entirely, but merely become less entangled and obsessed with them, not freedom from them but freedom with them, each situation and individual a wide open space. Mazu grasped a student by the nostrils to show him how to grab hold of empty space. If we are the house, we are the whole situation, the furniture and the space they sit in. We can look around it, speak about it and move about in it as we freely please. 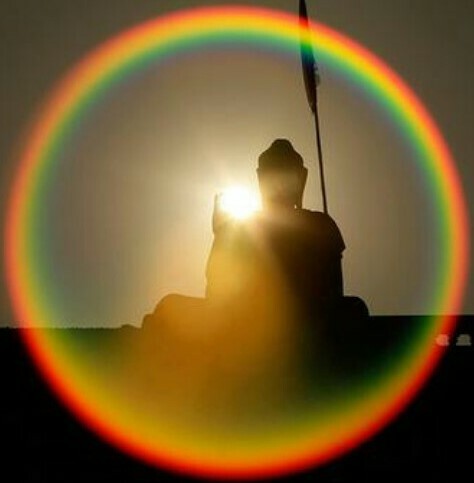 A monk asked, “What is the Buddha’s true experience of reality?” and Zhaozhou replied, “Is there anything else you don’t like?” The monk thinks he is choosing the best of the best in a positive way, but Zhaozhou acts as if he is being exceedingly negative, rejecting a great number of things, limiting himself with exclusive picking and choosing such that he is not free in his own wide open space. Good and bad are funiture in our house, parts of the situation we live in. A monk asked, “What are honest words?” The master said, “Your mother is ugly.” If your mother isn’t beauty incarnate, and sadly no one’s mother or anyone else is ideal perfection, then your mother is ugly to some degree in some ways. If the monk wanted honest and pleasing words, Zhaozhou gave him honest and ugly words, just like truth itself, which is not simply pleasing or beautiful. Linji said he sees where people come from and hits them there. The monk asks about truth because he wants satisfaction, so Zhaozhou shows him that truth is not really the satisfaction he is looking for. Pleasing and displeasing come in many forms, including but not only true and false, and these are parts of the space we inhabit. We do not live by truth alone, cannot escape falsehood, nor need to. A monk asked, “How can you not lead the multitudes of the world astray?” The master stuck out his foot. The monk took off one of the master’s sandals. The master brought back his foot. The monk could say nothing more. The single sandal again suggests the transmission of Bodhidharma passing from India to China. Similarly, when a monk told Linji that the Buddha would never deceive people, he told the monk to sit down and avoid deceiving people. When Zhaozhao came to Baizhang’s place in his wanderings, Baizhang asked him, “Where have you come from?” Zhaozhou said, “From Nanquan.” Baizhang asked, “What has Nanquan been teaching people?” Zhaozhou said, “One time he said, ‘One with no attainment should be strict and solemn.’” Baizhang scoffed with disdain. Zhaozhou looked startled. Baizhang said, “That’s a fine ‘strict and solemn’.” Zhaozhou did a little dance and left. A monk said, “I don’t have an extraordinary question. Please don’t give an extraordinary reply.” Zhaozhou said, “How extraordinary.” Even as the monk tries to be normal, everything normal is abnormal, just as the Daoist Liezi said that in some way every slave is superior to the emperor. 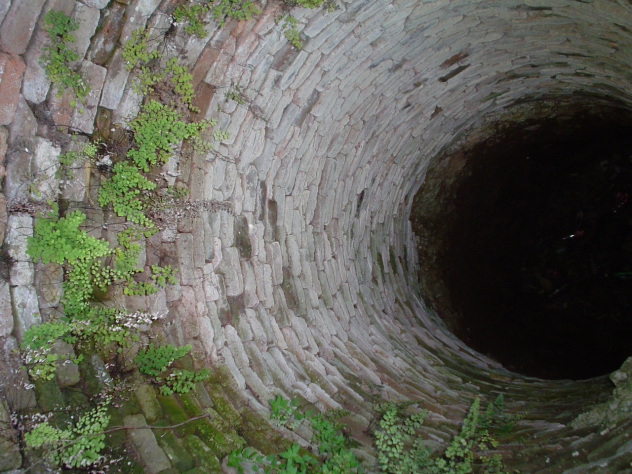 A monk asked, “What is the unending depth of the deep?” Joshu said, “Your questioning me is the unending depth of the deep.” Linji said that formlessness is the ignorance of our own minds, but formlessness and ignorance are also freedom and depth, space that is undetermined and thus open to possibility. Sometimes we are happy to be free and sometimes we are sad to be ignorant, but the known and unknown are also part of the situation of human life. 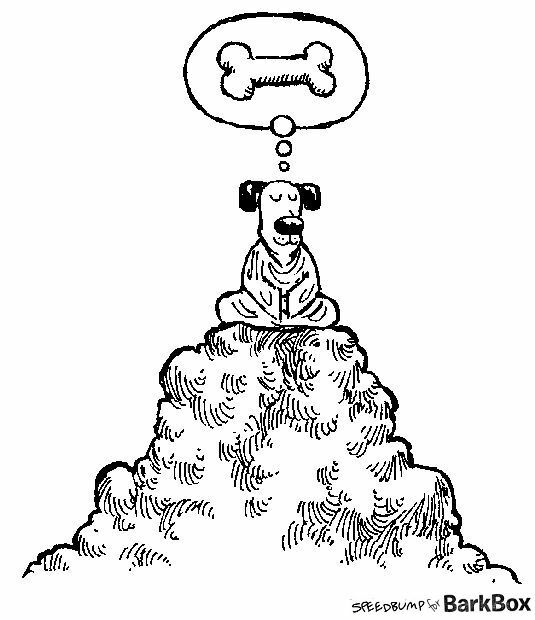 The nothingness that is buddha-nature and the dog is the nothing-in-particular-ness that is our own free and open existence. Linji says we can be free to rise in the east or in the west, where the day begins or ends, to come as the beginnings or endings of things, seeking their arrival or their destruction. 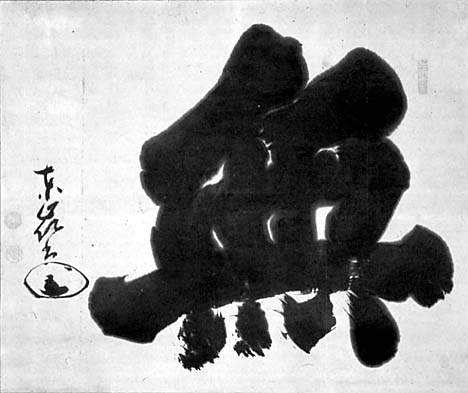 When we seen the answer to a question, we are often coming from a beginning seeking an ending, but Zhaozhou presents the monk seeking the closure of an ending and answer with his own ever-present open-ended beginning, that he is formless and endless, the depth of the deep, found in his own act of questioning. 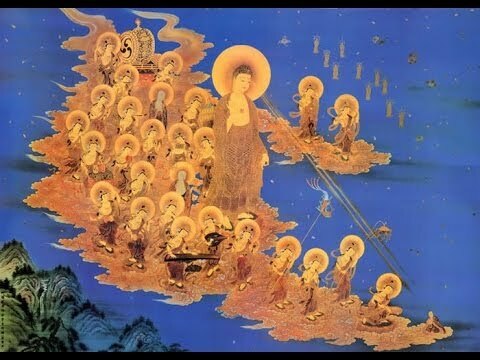 A monk asked Zhaozhou, “What is the fact that I accept responsibility for?” and he replied, “To the ends of time you will never single it out.” Another monk asked, “If the Great Way has no root, how can it be expressed?” The master said, “You just expressed it.” The monk said, “What about ‘no root’?” The master said, “There is no root. Where is it that you are being bound up?” Linji said that there’s no teaching on the outside or self on the inside that can be completely grasped. A monk asked, “I have just come here and know nothing. 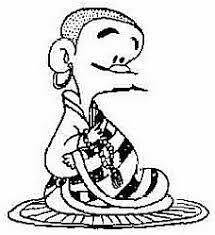 What are my duties?” Zhaozhou said, “What is your name?” The monk said, “Hui-han,” and Zhaozhou said, “A fine ‘knowing nothing’ that is!” We can’t manage to know, grasp or single out anything completely, nor can we be perfectly ignorant either. 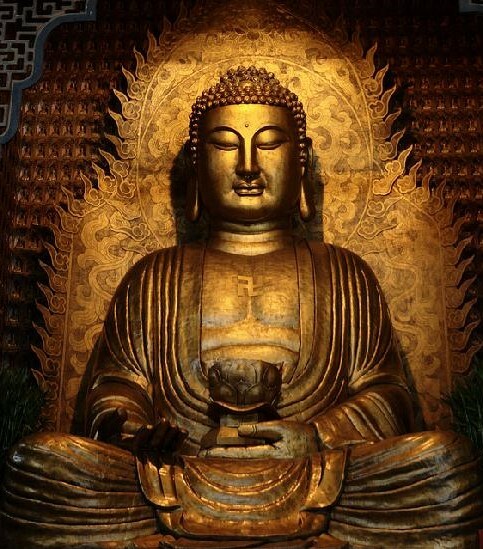 Zhaozhou declared to the assembly, “I can make a single blade of grass into a sixteen-foot tall golden Buddha, and I can make a sixteen-foot tall golden Buddha into a single blade of grass. Buddha is compulsive passions. Compulsive passions are Buddha.” The Buddha taught that desires, aka “compulsive passions”, cause suffering and that there is thankfully a way out of them to peace and happiness, so an understandably confused monk in the assembly asked, “Why would the Buddha become compulsive passions?” thinking it should surely work the other way around, with desire becoming enlightenment. Zhaozhou replied, “The Buddha becomes compulsive passions for the sake of all.” The monk asked, “How can they be escaped?” Zhaozhou said, “What’s the use of escaping?” If we are not densely packed together with things, but rather in wide open spaces, why do we need to escape or flee anything? A doctor from the town asked Zhaozhou, “Does an accomplished person go to hell or not?” The master said, “I cut in at the head of the line.” The doctor asked, “You are an accomplished person. Why do you go to hell?” The master said, “If I had not gone, how could I have met you here?” Linji said that the pure lands and hell realms are all right here, and Zhaozhou moves about in them freely. It is not simply hell or a particular place that we fear and flee, but also our own selves and desires. Zhaozhou and a local government official were walking the monastery garden and a rabbit dashed out from under a bush and ran away. The official said, “You are a great and accomplished person. 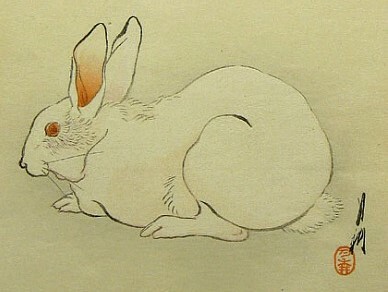 Why did the rabbit run away?” The master said, “Because I like to kill.” Linji said kill the Buddha, and Zhaozhou might enjoy it. Both the doctor and official revere Zhaozhou as an ordained monk, an “accomplished person”, but Zhaozhou acts like a liberated person, not the distinguished and refined person they expect. A monk said, “I’ve dropped everything and come with a peaceful heart.” Zhaozhou said, “You’d better let go of it.” The monk asked Zhaozhou how he could let go of it if he’s already dropped everything, and Zhaozhou said, “Fine, keep it!” This is remarkably like the incident when Confucius’ student Zigong came to him and said, “I do not want to treat others the way I do not want to be treated!” and Confucius told him, “You’re not that far yet.” Linji said he hasn’t yet met anyone who doesn’t come in a particular way and he hits them right there. 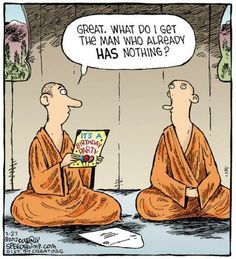 Zhaozhou tells the monk who tells him he is unattached that he is still attached, as the monk enters into the situation trying to be unattached, which isn’t being unattached, just like Zigong.